We visited a member of Thanh Hoa MFI – mrs Vu Thi Can in a hot day in May. The simple cottage located on the white sands seem to make me more stifling in a summer noon. Our team stooping, each person, each person past into the door-frame. Welcoming us was a woman about 30 years old, with the dark skin, warm smile, confidence, contrary to the coarseness funiture around her. She seem to embarrassing when she arange messy things on old mats to invited guests . After the friendly and frank greeting between our team and her family ( she and 4 children), we were listened the story of her life. người. Trước đây Thiệu hóa là một trong những huyện có tốc độ phát triển kinh tế xã hội chậm, đời sống nhân dân gặp nhiều khó khăn, tỷ lệ hộ nghèo khá cao. 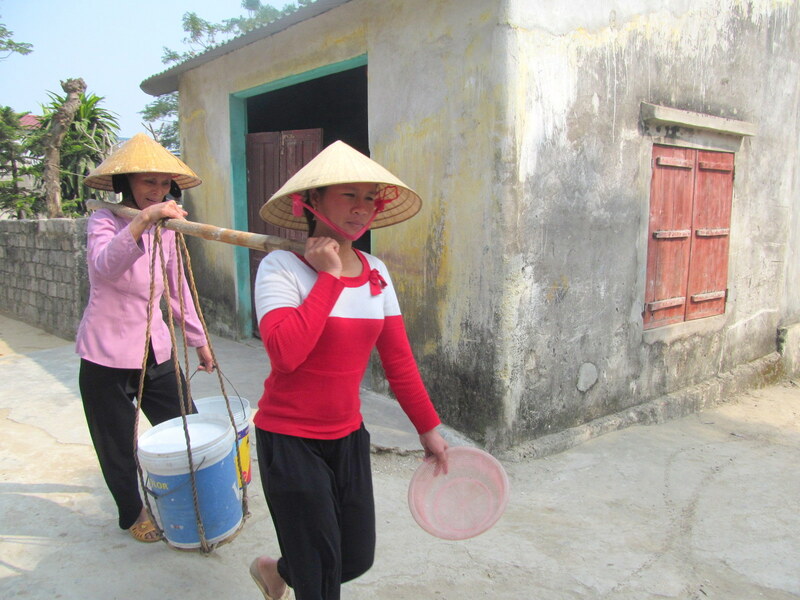 Established in 1998, the Thanh Hoa Fund for poor women (FPW) started as the Thanh Hoa Microfinance Program. In 2008, it started the process to become a Social Fund licensed by the Vietnamese government. FPW focuses on providing credit and savings products to poor and low-income households in order to improve their economic capacity sustainably and effectively. As of March 2011, it operates in seven districts of Thanh Hoa province and maintains a loan portfolio of 1,2M USD (26,9 VND) and 9,771 active borrowers. The Thanh Hoa Fund for Poor Women is committed to making a real and lasting positive change in the communities and families with which it works. For the program's fifth anniversary in 2013, an assessment of the program's impact was conducted by the consulting firm Flanet Finance. They found that Fund was having a substantial effect in alleviating poverty, improving the social status of women, enabling poor families to spend more on education and healthcare, and expanding access to credit and financial services. The aim of microfinance is to provide quality financial services to communities underserved by official financial institutions.